Mumbai is famous for Bollywood and for the rain that every year made the city to come in limelight. 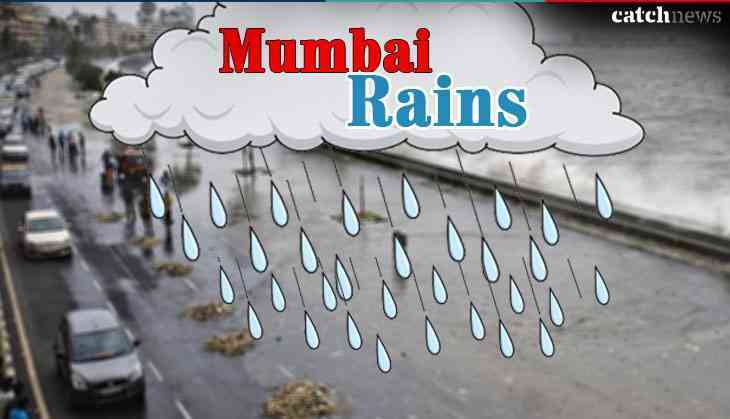 Recently, the Mumbai rain has grabbed the attention of the country. Many people visited Marine Drive to view the beautiful scenery of the beach and enjoy the sea tides. Due to the heavy rainfall, the sea level also raised due to which there would be a chance of flood at the region. 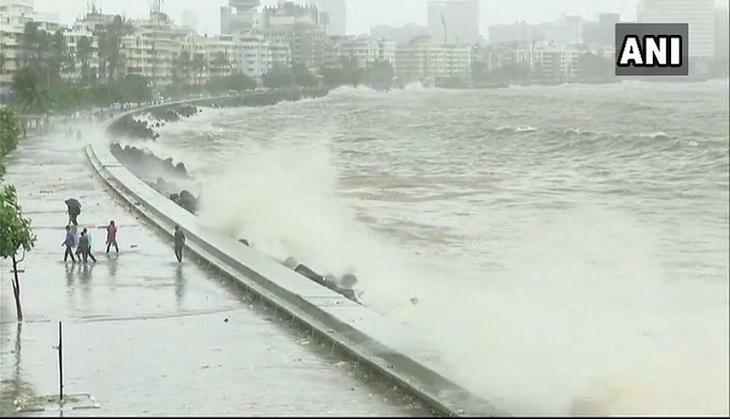 However, Brihanmumbai Municipal Corporation (BMC) has warned people not to go near the shoreline. 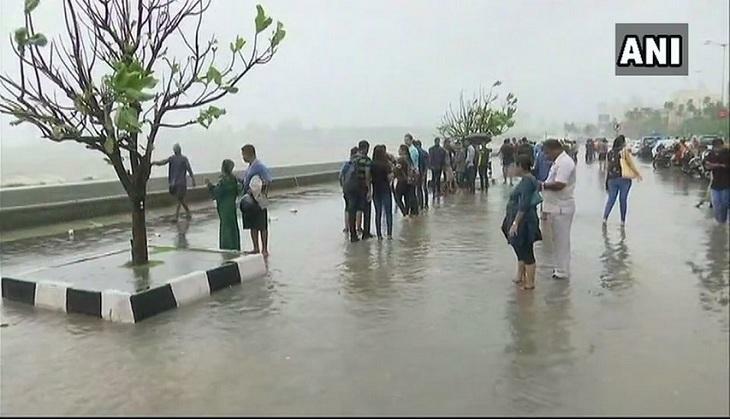 According to the routine release oh high tide days by BMC, the highest tide was hit the shore of the city at around 4.97 metres on Sunday. The high tides hit the shore afternoon after the heavy rainfall lashed the city. 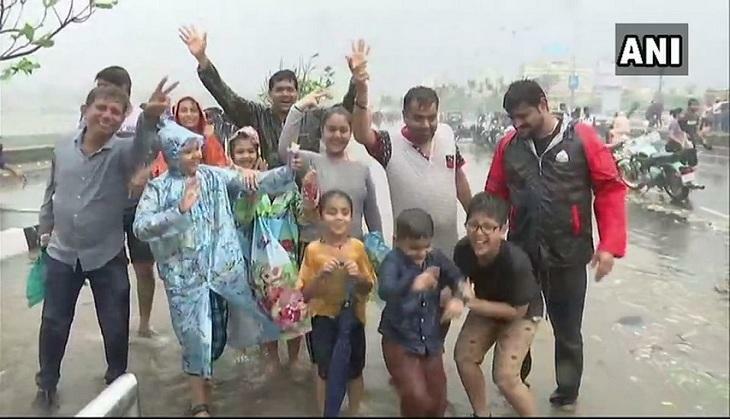 However, people ignored the warning of BMC and was found enjoying the high waves of the sea by wearing raincoats. Interestingly, along with high tides over 12 tonnes of garbage also gathered at the beach which had been cleaned by the BMC workers. The garbage was dumped on Marine Drive after the two days continuous high tides raised in the Arabian Sea. Soon after the collection of garbage at the beach, the BMC workers come into an active mode and was found cleaning the area. Reportedly, the Marine drive coastal road was also closed because of the garbage overflowed from the ocean. However, there is a rain alert in the city which could continue for some more days. Reportedly, IMD Santacruz observatory recorded 37.6 mm rainfall in the past 24 hours while the one in Colaba recorded 9.8 mm rainfall. However, there is a rain alert in the city which could continue for some more days. Reportedly, IMD Santacruz observatory recorded 37.6 mm rainfall in the past 24 hours while the one in Colaba recorded 9.8 mm rainfall.